Solo wrote: No custom or modified stickers like usual, Pod Racers are eligible, and they do not need to be based on a specific pilot's design. 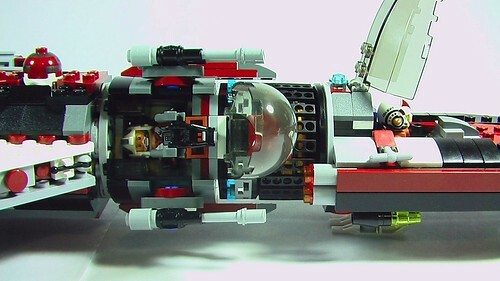 I would however say that it's possible that the sport has evolved beyond the what we saw in the prequels too, so as long as yours is clearly based on the classic pod-racers it doesn't need to strictly follow the two engines with energy binders dragging a cockpit setup. 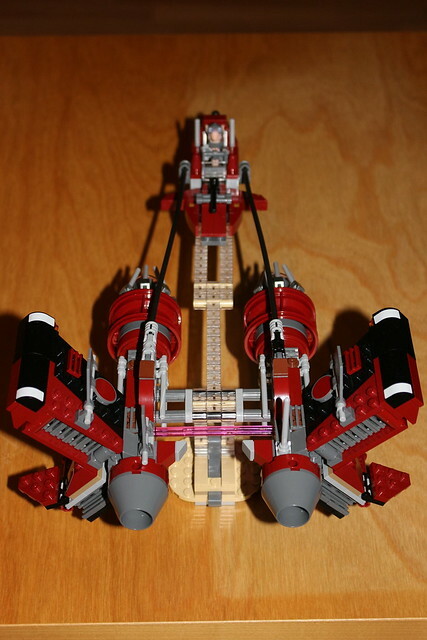 - Even though set 7962 comes with two podracers, I'm assuming I'm only allowed to enter with one podracer? 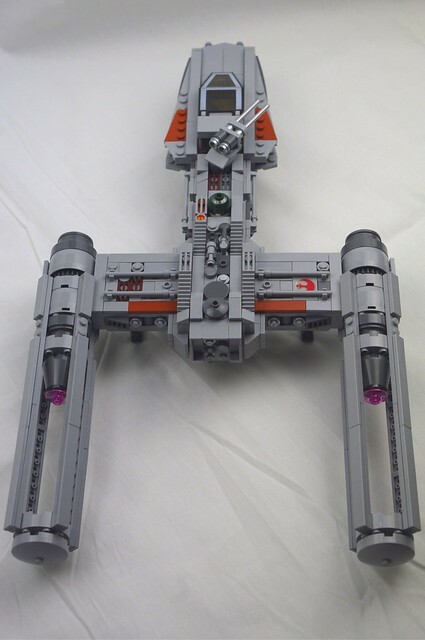 - Rules say we have to start from scratch, but can I assume it's fine if I use the transparent technic parts of set 7962 and the base they fit in to display my own podracers? They're not officially part of the podracers anyways. 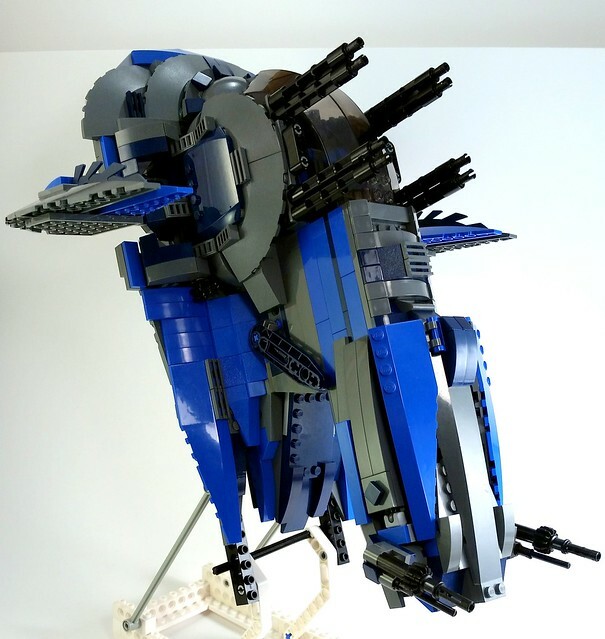 Awesome contest, found it when Googling for podracer MOCs and it's the reason I joined this forum! +ROOK+ wrote: I tried posting this morning, and I'm new so I'll try again. Definitely my favourite so far, looks great! 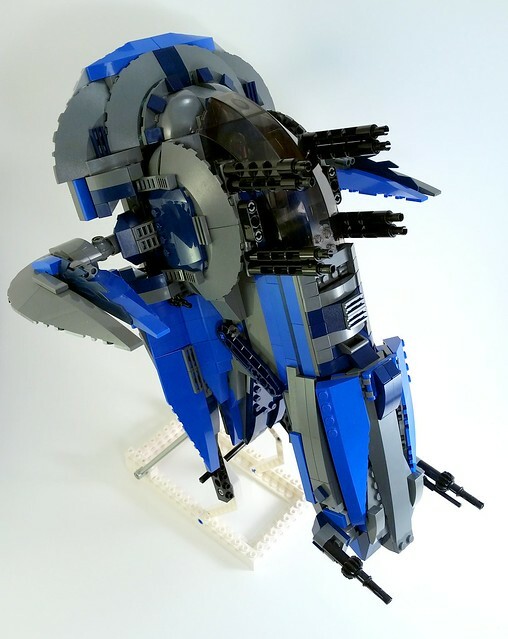 Did you by any chance make a parts list or even building instructions of this? 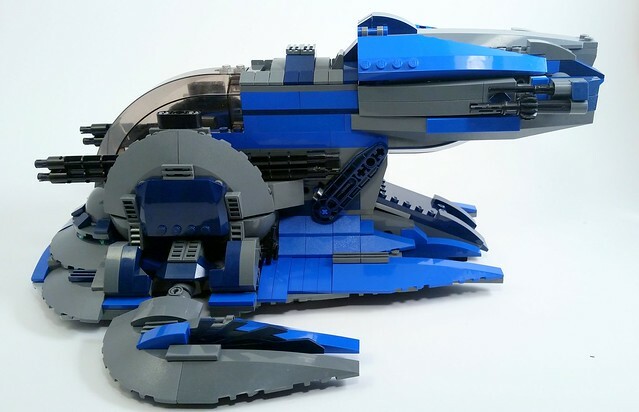 You're not recreating a set, just a single ship or vehicle. So you are correct, you'd only be able to enter one of the podracers. This is such a great contest...so much creative thought on display! Thanks Billy, no I didn't do any instructions, I started with the wings and spent a lot of time on the detailing of the wings, I've been thinking of redoing the cockpit and if I do I'll post it on flicker. 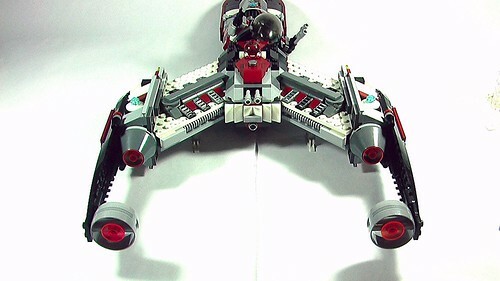 Project started with a design featuring red and black wings for the first order color scheme. Fist time taking pictures also and it's harder than I thought it would be. 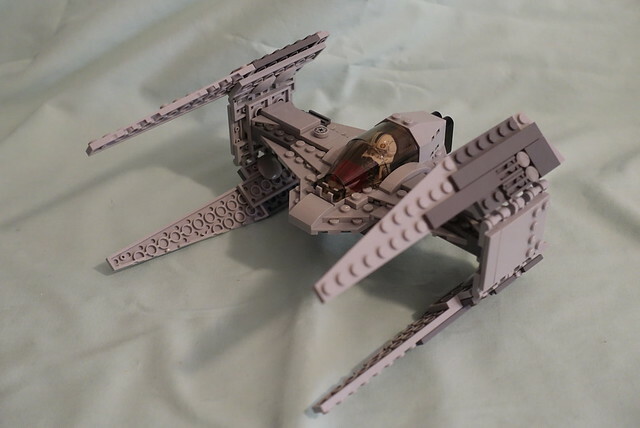 After the fall of the Empire and the creation of the New Republic, Koensayr Manufacturing was commissioned to design a sleeker, stealthier upgrade to the BTL model Y-wing used by the Rebel Alliance during the Galactic Civil War. 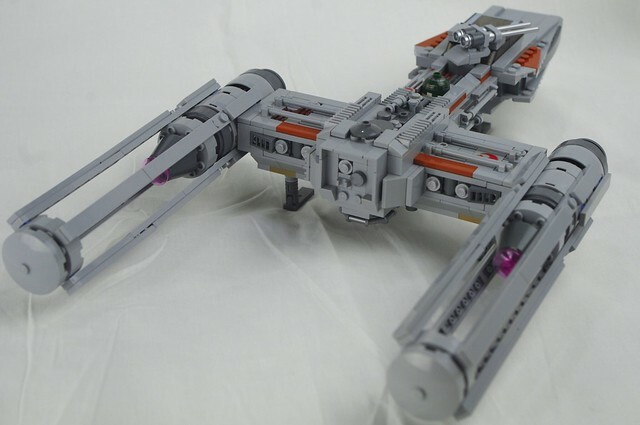 The finished product was the BTL-S Y-Wing, now employed by the Resistance in bombing runs and covert operations against the First Order. I had a lot of fun creating this - good luck everyone and enjoy! 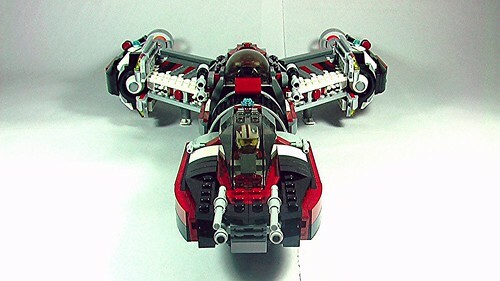 @ +ROOK+ I like your approuch of mixing the jedi starfighter with a tie . I thought i saw this design in a star wars comic?Good job. 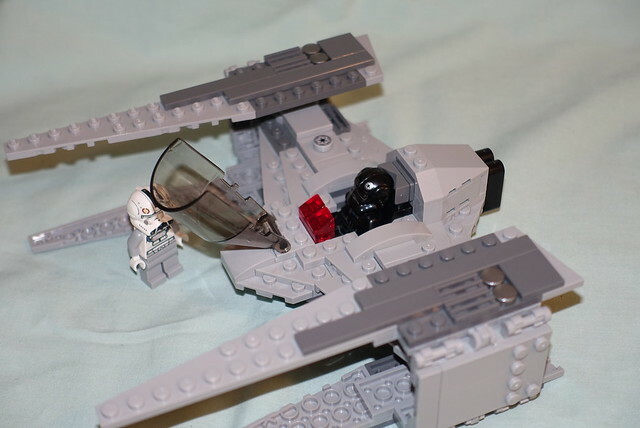 BillyHorrible wrote: - Rules say we have to start from scratch, but can I assume it's fine if I use the transparent technic parts of set 7962 and the base they fit in to display my own podracers? They're not officially part of the podracers anyways. Yeah that's fine. And it's not like using a some minor bits and pieces from official sets means you'll get DQ'd either, sometimes certain techniques or details just make the most sense. 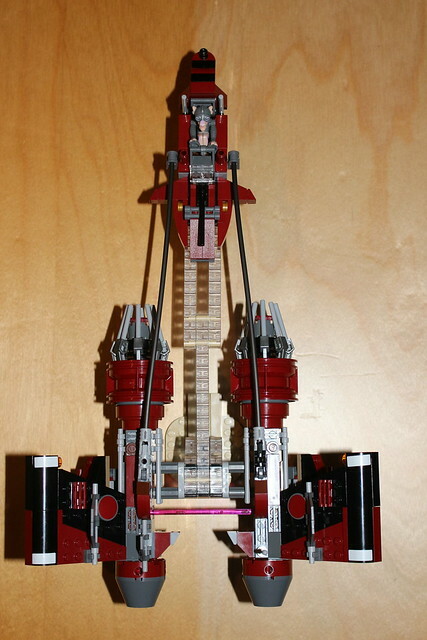 What we're trying to avoid is reskinning or reworking Lego's designs instead of coming up with your own. 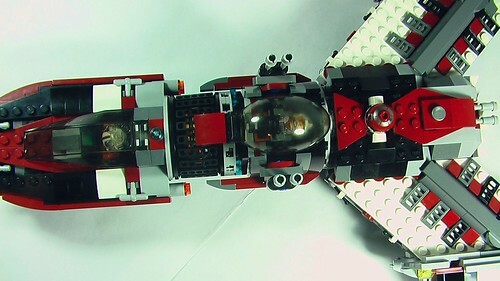 If anyone is going to be in SoCal next weekend please bring your ships to Bricks LA! Question, if i somehow make it to get a prize, do you ship it to Europe or is it North America only ? Sorry for changing my entry at the last minute. Started Star Wars Racer Revenge and I didn't want to enter with a generic pod anymore, so I updated Sebulba's podracer. Had to wait until the weekend though. Over fourty years after his grandfather's defeat during the Boonta Eve Classic, Sebulba jr. enters the circuit with the latest Plug-F Mammoth Split-X engine model. Over the years, the Mammoth models had become both longer, and smaller in overall size. Raw power was traded for a more streamlined engine - less bulk at the end, with the lower parts of the Split-X being greatly decreased in size. 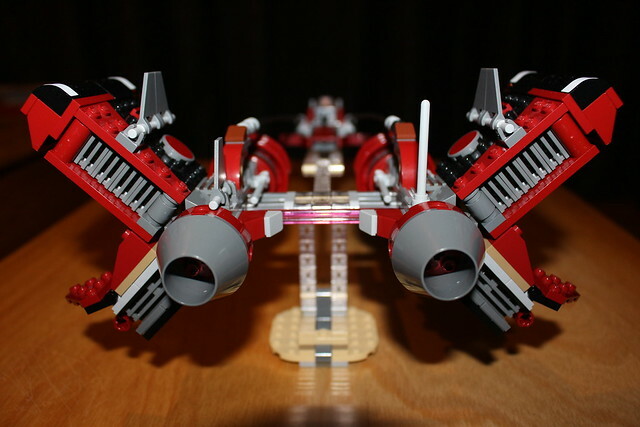 The next Mammoth model would turn out to completely lose the Split-X design, losing the lower parts and moving the upper parts to a horizontal plane. Last edited by BillyHorrible on Sat Jan 16, 2016 3:17 pm, edited 1 time in total. Thucydides wrote: I have to ask: where did you get those pearl grey rounded slopes and the (what appear to me to be) stickers? The 'pearl grey rounded slopes' came from Bricklink (I was short 2 dark grey and found these instead!) - listed as Brick, Round Corner 6 x 6 x 2, Flat Silver and I think they come from a TMNT set. The stickers are all just left-over random stickers from various Lego sets, some city, space and star wars, I think even some Chima I bought for parts (I tend not to put most of the stickers on sets that I buy). They are all applied as-is with not cuts or anything. Episode Seven: Bigger, Butcher, Badassier. 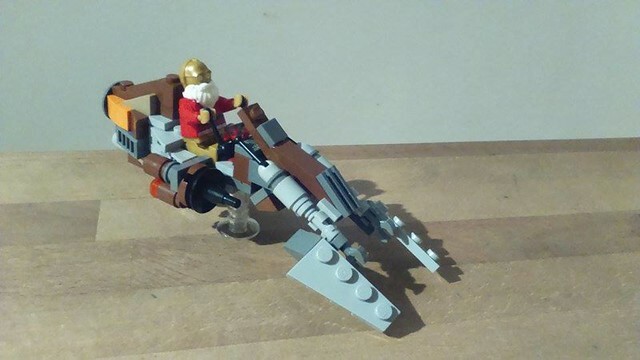 So here's my updated speederbike, perfect for actually speeding through densely wooded forests at 200mph. Definitely nothing camp about this one. It's the Harley of speeder bikes, there's no chance that the kenner toy of this speederbike would have a self destruct play feature! 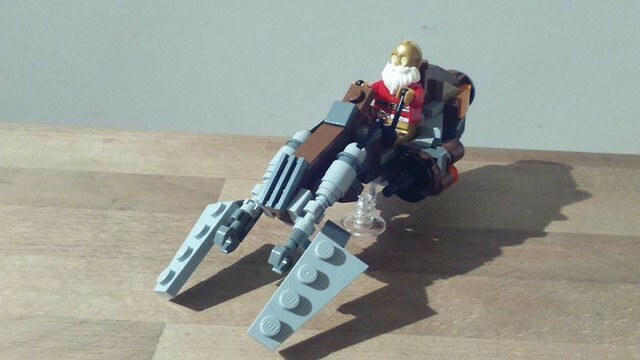 You'll notice that the speederbike is piloted by a festive C3PO. That's because the entire build has been completed from this year's advent calendar. Also, I'm claiming it's because C3P0 has "evolved" himself... we saw that red arm in episode 7, perhaps there might be a whole red torso by the time of episode 8? perhaps C3P0 is becoming bigger, butcher and badassier himself. Is there any truth to the rumour that his line from episode four "I've forgotten how much I hate space travel" might be replaced in a new director's cut version by the much sassier "I ain't getting on no plane, fool". Is it true that Mr T may replace Anthony Daniels behind the mask in the next installment of our favourite sci fi franchise? Artemis78 wrote: Question, if i somehow make it to get a prize, do you ship it to Europe or is it North America only ? 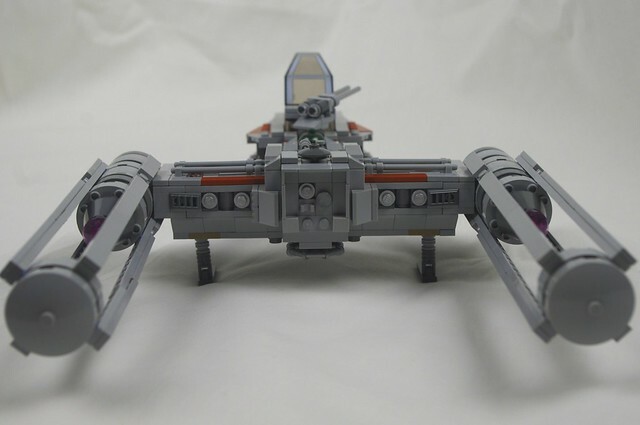 Ok thanks, then i'll submit my Y-wing when i get my parts from Bricklink ! 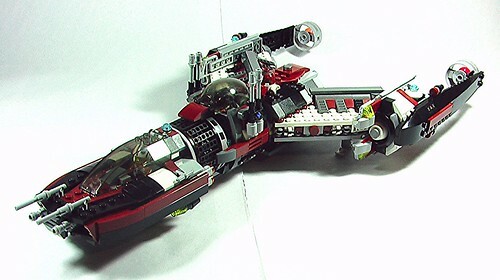 Years after Kuat Systems Engineering retired it's Firespray starships, the legend of Bobba Fett revitalized the line, and the KSE introduced an upgraded Firespray that they named the Slave X. Bounty Hunters, mercenaries, and smugglers all over the galaxy wanted to get their hands on one. It was rumored that new boosters could allow it to keep up with the Millenium Falcon. 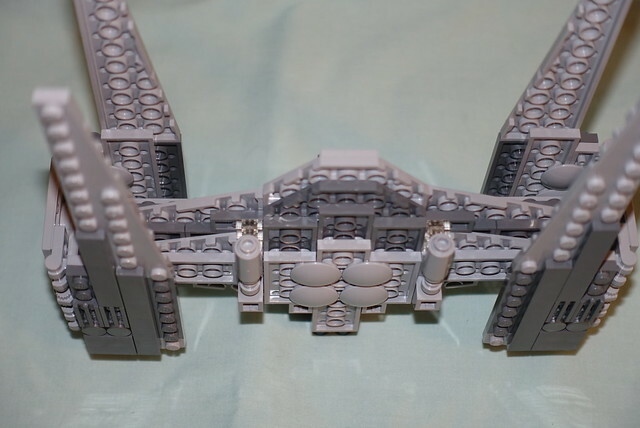 New turbo blasters on each side of the cockpit added enough firepower to take out a much larger ship. Even the First Order secured a few for tracking threats to the empire. Ladies and Gentlemen of the Resistance, The Red Jammer. 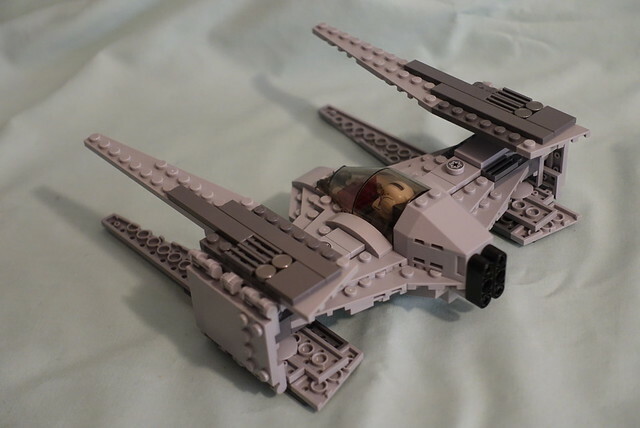 The rebellion against the Empire used the Y-wing as its workhorse during the reign of Emperor Palpatine, its ability as a bomber combined with fighter capabilities made it a well-worn, even though not entirely reliable, starfighter. 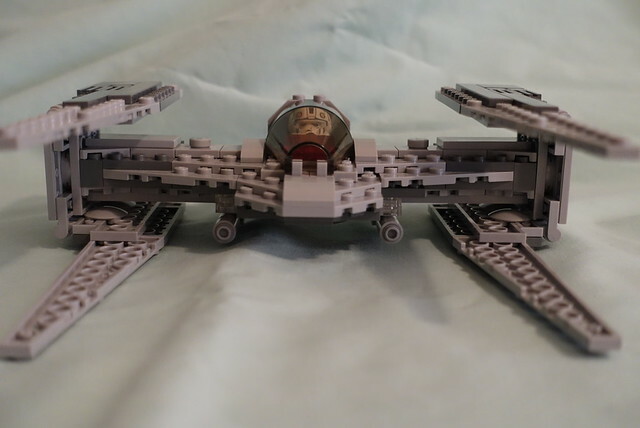 The Red Jammer takes many things learned from the y-wing to construct a well-defended superiority bomber with just enough agility to make it lethal to both fighters, bombers, and bases of the First Order, as well as other unsavory characters throughout the galaxy. As well as upgraded sublight engines with magnetically enhanced guide vanes, the hyperdrive on the Red Jammer model Y-wing has also been enhanced with the latest technology. 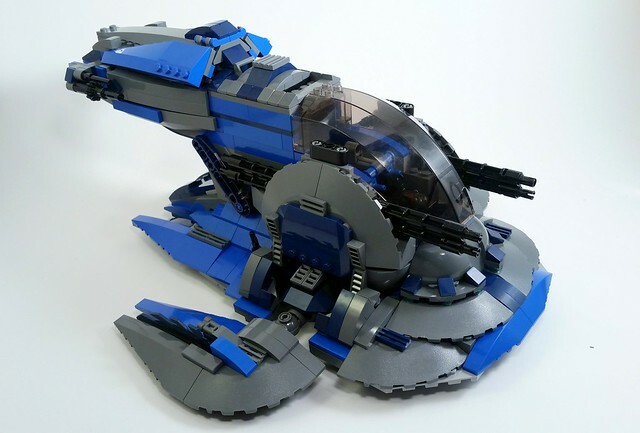 For more cool pics showing off the torpedo bay, undermounted landing propulsion and the full range of motion for the gunner, check out my Flikr page. Thanks to FBTB for the contest that really got me out of my builders block! As a side note, this was the final of 5 different projects built for this contest, and on my flikr page you can also see the other four that I considered for my submission. 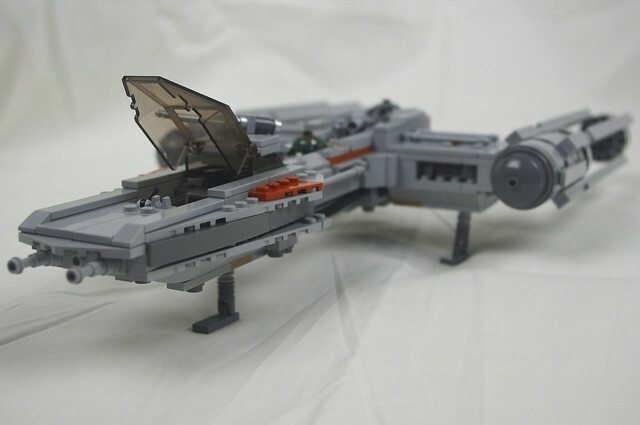 The ships include a Tie Advanced starfighter, An A-wing, Arc-170 inspired model, and a B-wing. Happy building, can't wait to see what comes out of the woodwork in the next two weeks! Last edited by toastkateer on Sun Jan 10, 2016 7:48 pm, edited 3 times in total. 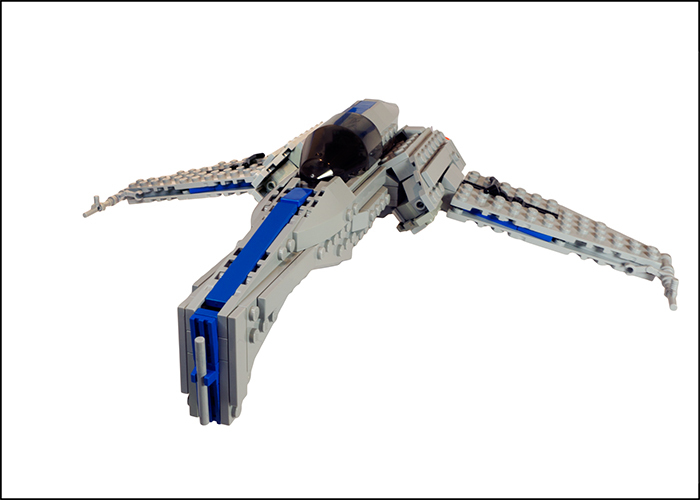 My entry: my take on the Tie Interceptor. Good luck to those who can participate! 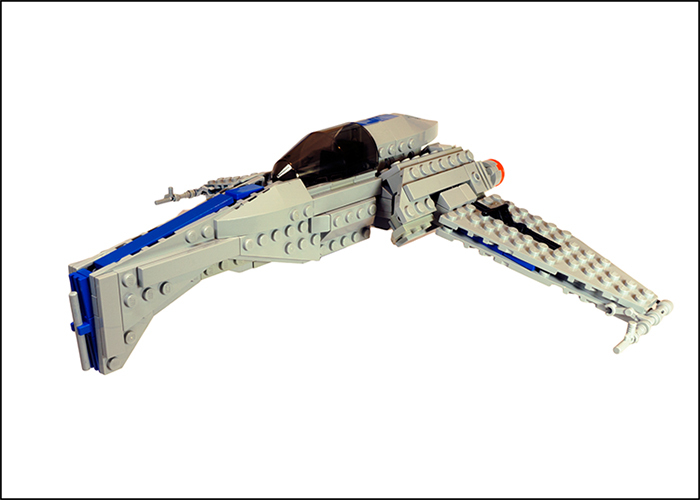 Along with the X-Wing refresh, the New Republic commissioned a new, improved version of the Z-95 Headhunter. toastkateer wrote: As a side note, this was the final of 5 different projects built for this contest, and on my flikr page you can also see the other four that I considered for my submission. 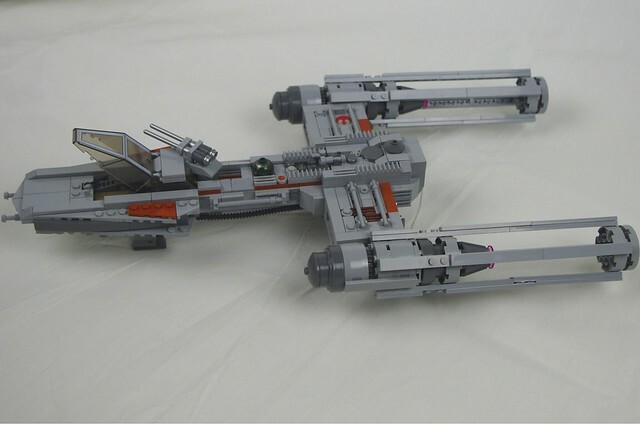 The ships include a Tie Advanced starfighter, An A-wing, Arc-170 inspired model, and a B-wing. Happy building, can't wait to see what comes out of the woodwork in the next two weeks! Wow, toastkateer! Someone had a lot of building time! I'm jealous. 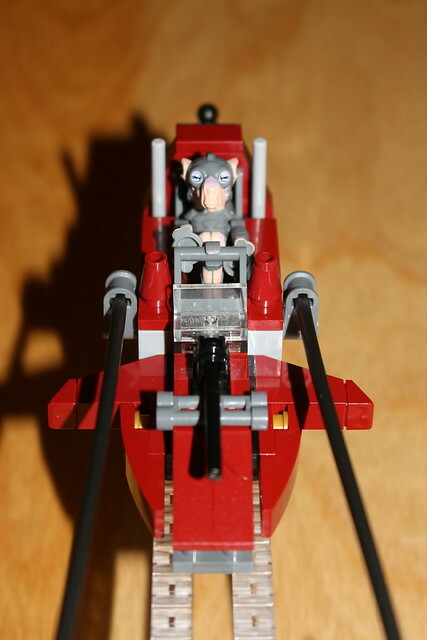 That A-wing you created is all kinds of awesome IMO. 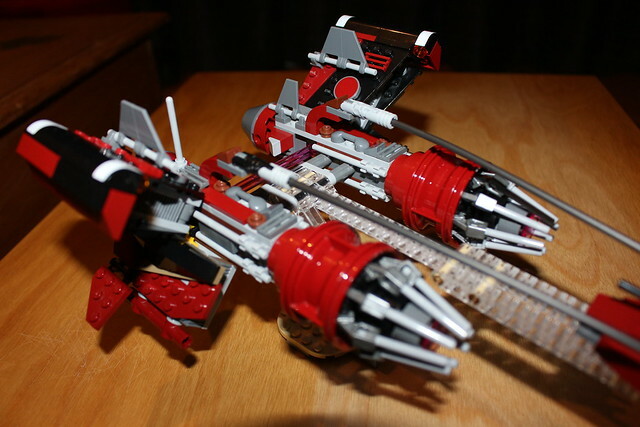 I like how it's kind of a cross between an A-wing and a Jedi Strike Fighter. Always liked the dark red.